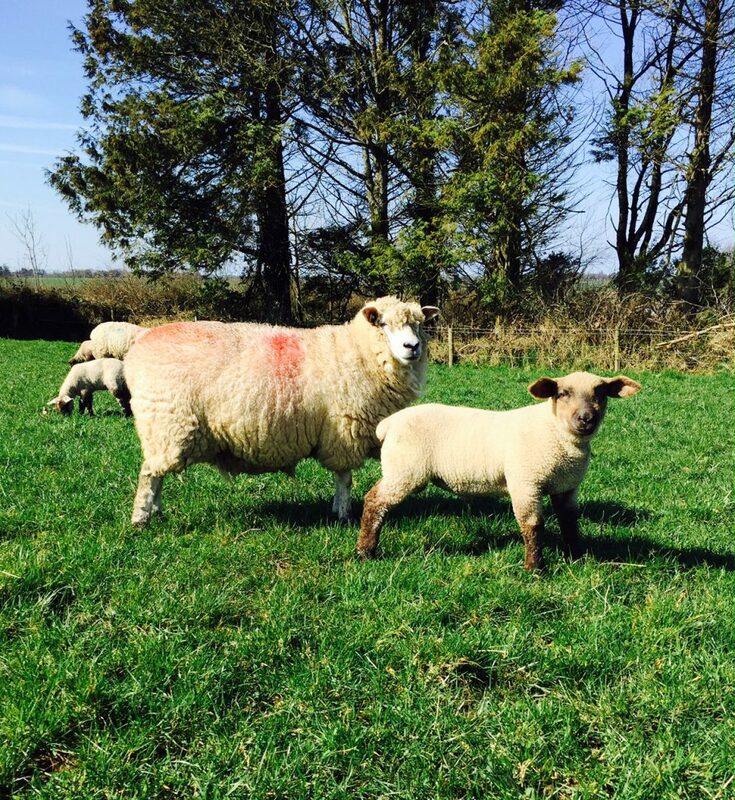 EU sheepmeat imports increased by 15% from last year in the first quarter of 2015, according to Eblex, the organisations for the English beef and sheep industry. Imports in the first quarter increased to 49,500t from the same time last year, it says. Imports were largely driven by increased shipments from New Zealand, imports in the first quarter of the year were expected to be up on the year, it says. Easter in 2015 fell earlier than in 2014 therefore this meant an increased Easter demand peaked in the first quarter of the year, Eblex says. In 2014, the Easter was spread over both the first and second quarters, it says. Imports in the first quarter were also up 2% from 2013, the last time the total Easter demand fell in the first quarter, it says. According to Eblex, chilled bone-in cuts took the largest share of all sheep meat imported to the EU, with shipments accounting for 37% of total volume. Shipments were also up a third on 2014, it says. There was a 2% increase of frozen-bone cuts, although their market share fell, accounting for 34% of the total, it says. Volumes of frozen boneless cuts were up 16% from 2014 also, Eblex says. Eblex says that imports to the EU from New Zealand were up 19% at 42,800t. 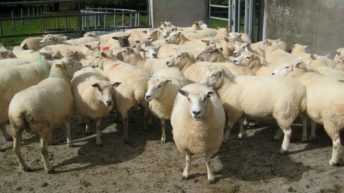 This meant New Zealand increased its dominance on the market and 86% of all sheep meat imported to the EU was from this location, it says. This was despite a fall in New Zealand production in the first quarter of 2015 as a fall in shipments from New Zealand to their largest single country market, China, has left increased volumes available for export to the EU, Eblex says. Imports to the EU from Australia fell 5% in the first three months of the year to 4,700t and this left the Australian share of total import volumes down at 10%, it says. 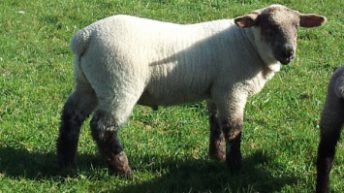 Eblex says this comes due to an overall decline in total sheep slaughterings in Australia, driven by a fall in adult sheep slaughter. Imports from other smaller suppliers were mixed, shipments from Macedonia were up 74%, making it the third largest supplier of sheep meat to the EU, it says. In contrast, imports from Uruguay fell 30%. 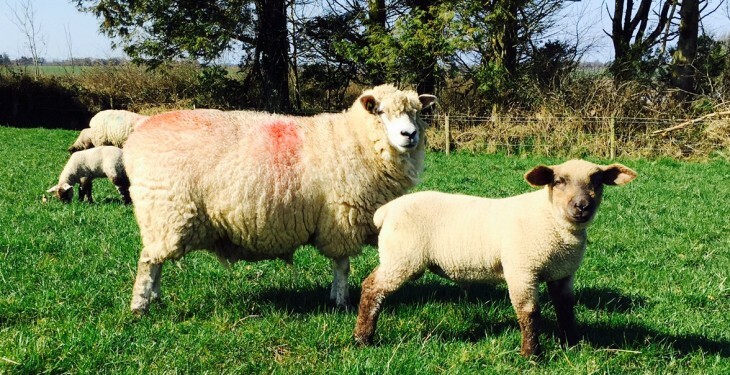 The weak value of the euro led the average unit value of imports to increase and consequently, the total value of sheepmeat imports to the EU was up 27% at €331m, Eblex says. 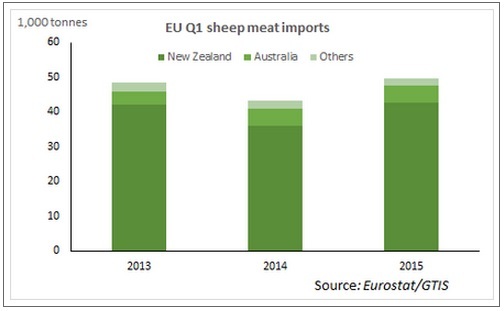 By the end of the first five months of the year New Zealand’s quota usage was at 38% of its 228,254t tariff-free quota allocation for exporting sheep meat to the EU, it says. Eblex says with the months where demand from the EU tends to be highest already passed this suggests that New Zealand will, once again, not use its full quota allowance in 2015. However, New Zealand’s quota usage is currently ahead of levels seen in 2014, it says. In the same period Australia had used just 43% of their 19,186t tariff-free quota allocation, suggesting that their quota will also not be filled, it says.